John Kenneth Muir's Reflections on Cult Movies and Classic TV: Ask JKM: Favorite and Least Favorite Dystopian Films? Ask JKM: Favorite and Least Favorite Dystopian Films? That’s a great question, WCG, because the dystopian science fiction film is one of my favorite cinematic forms. It fascinates me to imagine (and watch…) how the world we know could go wrong, especially since so many such films stem from the idea of trying to improve the human condition, or to preserve it in the time of a crisis. But of course, something goes wrong, and mankind’s condition is actually worsened. Robert Duvall stars a man who goes off his meds, and falls in love with his roommate (an echo of a subplot in Orwell’s 1984). Lucas non-conventionally and routinely breaks up the frame space of his characters here by focusing obsessively on close-ups of computer print-outs, insert shots of sine-waves, and minimalist sets. All of these high-tech shots enhance the impression of a world that has lost touch with nature; with Mother Nature herself, and human nature too. This is a film in which the State encourages personal narcissism by converting the collective act of worship into a personal, individual one. The State even selects roommates for people to live with, meaning that conventional families don’t exist. The Lucas film presents a cold, inhuman world about the perils of turning over the power of the individual to a monolithic, totalitarian government. In the world presented by Z.P.G. (Zero Population Growth), "The Society" and the "World Deliberation Council" announce the inception of the "Zero Birth Edict." If, during this thirty year ban on child bearing, a woman does become pregnant, she has two options. She may report to an "Ab Lab" (an Abortion Lab), or have a home abortion courtesy of a new bathroom appliance installed in all houses. Z.P.G. is a great, highly-underrated film. A grave atmosphere of despair hangs over the entire picture, and director Michael Campus paints an unforgettable portrait of a totalitarian society that controls every aspect of the citizenry's day-to-day life. Most importantly, however, ZPG is worthwhile for the main questions it zeroes in on. What sacrifice is too great to save the planet? And secondly, should a single generation be the one to carry that enormous burden? The most horrifying and memorable scene in Z.P.G. involves a shop called Babyland, and the desperation of prospective parents as they meekly accept plastic automatons as their "children." These child dolls -- who make whirring, mechanical sounds when they turn to look at you -- are nightmare fodder. They walk, they talk, they demand attention, and their eyes are as dead as you can imagine. The Big Apple experiences numerous power black-outs yet it isn't just the city where things have turned bad. We also learn from the dialogue that the oceans "are dying," "polluted," and that there is very little good farmland remaining in America. Meanwhile, food supplies are tight, and there is strict rationing of supplies. Recently, the Associated Press reported that 50% percent of the world's population now lives in cities, so Soylent Green's phantasm of a stressed, overpopulated City-State, run by a craven politician, Governor Santini looks markedly more plausible today than it did in 1973; and certainly the climate-change apocalypse feels more relevant in the Zeitgeist of the 21st century too. But where Soylent Green truly acquires frisson is as cinematic prophecy. It depicts "Two New Yorks" (or Two Americas, as Presidential candidate John Edwards once said.) There is no middle-class remaining in New York City. It's extinct. In this U.S., you're either part of the teeming, homeless, starving masses (who inhabit every nook and cranny in the metropolis...), or separated from the poor and the unpleasant squalor of street life in glorious and luxurious apartment complexes. The Haves and the Have Mores have separated themselves from the rest of humanity, and ignore their plight. The film concerns a rollerball athlete (James Caan) who uses his fame/celebrity to rebel against the system, and the movie, while being a left-wing exploration of a right wing dystopia (Big Business run amok), also asserts the absolute primacy of the individual over a collective. The film’s action scenes are thrilling, and the movie does a good job of prediction too. In particular, the world’s libraries have been digitized and stored in computers, and people can access only summaries of that data, not the actual data. And you better have a credit card handy if you want to read. Welcome to a world without net neutrality. This is one of my all-time favorite films, period. In the 23rd century, the survivors of a nuclear war live inside The City of Domes, a paradise of plenty. The world is a hedonist’s delight with the Love Shop and other pleasures, but the metropolis is not without a downside. Every citizen must die at age 30, and hope for “renewal” in a state-sponsored ritual called Carousel that keeps the civilization perfectly balanced. Policing this edict are a cadre of armed law enforcement officials, the Sandmen. One such Sandman, Logan 5 (Michael York) is tasked by the city’s controlling Computer with determining if the destination of refugees, called Sanctuary, is real. Logan enlists the help of a young woman, Jessica (Agutter) in escaping the city, but is tagged as a “runner” and hunted by his former partner, Francis (Jordan). Logan’s Run does a fantastic job creating the lingo or lexicon of an Orwellian state, language designed to lack nuance, and suggest absolutes. Death is not death, it is “renewal.” The clock that counts down to your death is not a death clock, but a life-clock, and so forth. Similarly, Logan’s Run captures the “bread and circuses” aspect of many film dystopias. If you’re getting plastic surgery, hanging out in the love shop, or shopping in the mall, you are easily distracted from the machinations of the state. In terms of my least-favorite dystopias, I actually can’t think of many dystopian films that I absolutely hate. Freejack (1991) isn’t a particularly well-made film, so that might make the list. In general (and not counting the brilliant Dredd  and Snowpiercer ), I feel that modern filmmakers have lost the patience to construct a really good, really internally consistent dystopian world. 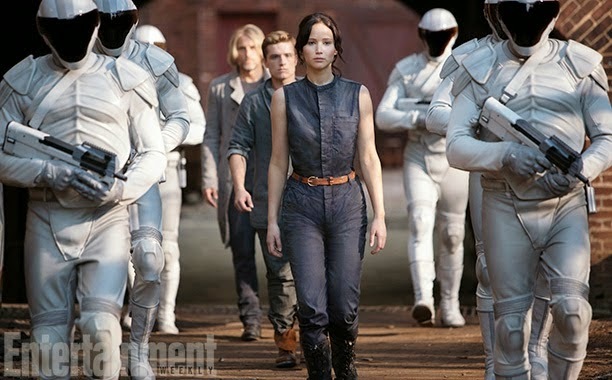 The Hunger Games (2012) isn’t bad, necessarily, but it isn’t very good, either. It exemplifies the concept of laziness I note above. All the characters are well-fed, gorgeous teenagers who don’t look oppressed or hungry. The filmmakers' casting choices thus take away from the idea of dystopia, of people starving, and under the thumb of a dictatorial regime. We know, from the news, what starvation looks like. It doesn’t look like Jennifer Lawrence. She gives great performances as Katniss, but there is a real visual disconnect between the look of the contestants and the world they supposedly inhabit. I find it hard to get past that in the films. Similarly, many modern movies of this type feel the need to destroy the dystopia in one film, and present a happy ending. They don’t have the balls to let the dystopia stand (unless a sequel is planned, I guess). Of the five films I noted, two (Soylent Green and Z.P.G.) boast what may be termed down-beat endings. 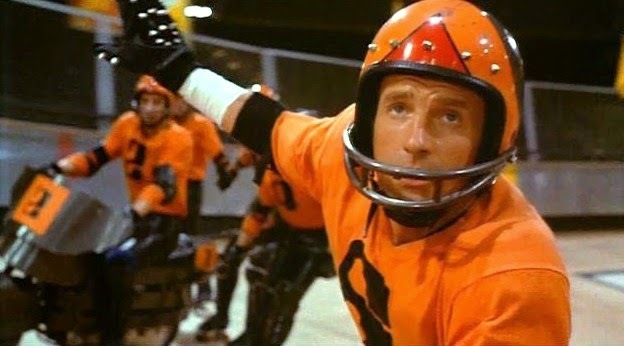 Rollerball’s ending is sort of inconclusive -- a temporary victory, but not the end of the war. THX-1138 involves the hero’s escape from the totalitarian city, but the State doesn’t fall. 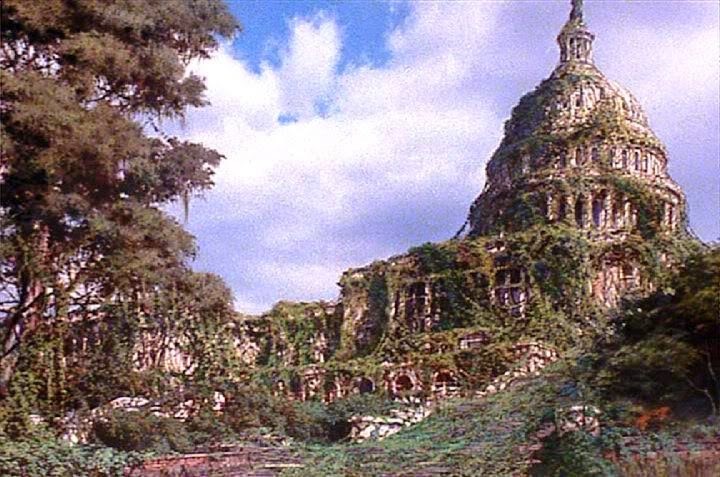 Only Logan’s Run involves the outright destruction of the dystopia. So I guess one element of the dystopian film that I appreciate most is that the monolithic status-quo is not easily dismantled. It is self-perpetuating, and infinitely more powerful than those who rebel against it. I feel this is a great reflection of real life. In short, I never really find it believable in these films when a hero goes from ignorant slave of the state, to total awareness of its “evil,” to rebel who brings it down. That's a long journey, and, realistically, one that often goes incomplete. Even The Hunger Games gives the hero time (and several films) to go through that transition. The dystopian films that don’t do it, generally don’t cut it for me. John excellent analysis. Logan's Run especially stands out. It was an important part of my '70s boyhood with both the 1976 film and the 1977-78 CBS television series. Great list and analysis as always! I made my list about a year ago and in hindsight would find a way to get "Logan's Run" in there. Anyway, my top five: "Robocop" (1987), “Silent Running” (1972), “Blade Runner” (1982), “The Road Warrior” (1982), “Conquest of the Planet of the Apes” (1972). You know, something about the "Hunger Games" films...I enjoy them when I am watching them. But never give them a second thought afterwards, where as the films on this list stayed with me for years (and decades!). I think your point about the laziness...the worlds don't feel real or haunt me like these classic films. Of the new dystopian wave, I did enjoy "Divergent", perhaps because I like the books. I am also one of the few people who loved "In Time" (2011). Nice list John. Very 70s centric I see. :) But the 1970s really seemed to be an era of dystopian and pessimistic science fiction. While some of that seems in play in our current era of films, they really don't seem to willingly embrace that darkness and let the audience face it. I'm sure there are financial reasons for that, but like you said, it feels kinda half assed. If you're going to delve into the darkness of the end of the world... then do it. Ahh...the dystopian science fiction film. Often...too often...the science in science fiction is just an afterthought ...mainly because the industry have not figured out another name for totally unbelievable films based on the future....so everything is science fiction. The films mentioned above make the 1950's look downright diverse. What is it about science fiction films set in so called dystopia's that element all diversity. Needless to say...sci-fi is not my fave genre, however I have seen a number of the films mentioned above and I do dig the 70's vibe.